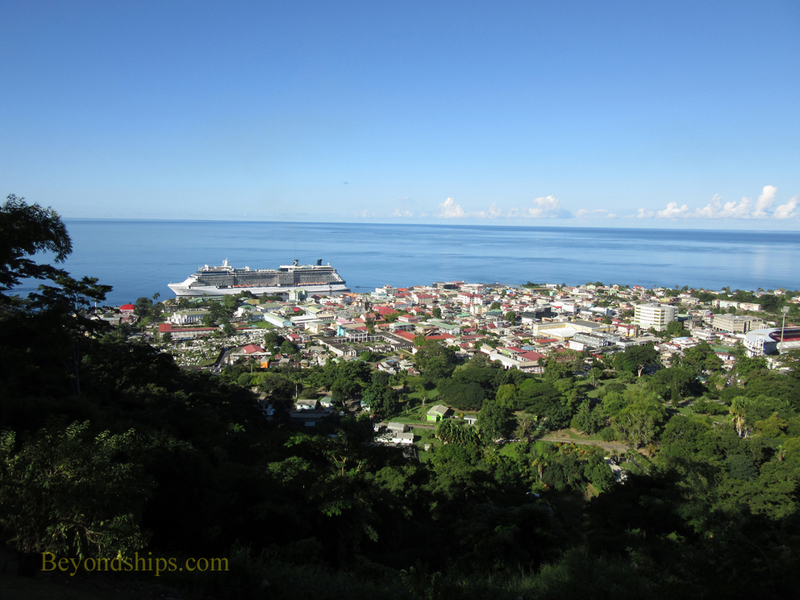 Dominica is known as the “Nature Island” because of its scenic beauty. 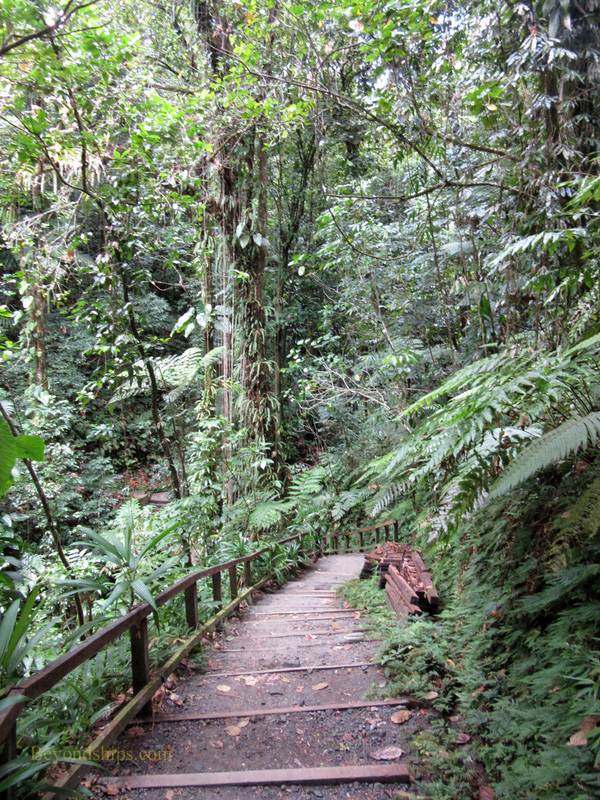 It has steep mountains covered by rain forest, punctuated with waterfalls and rivers. One of the youngest islands in the Caribbean, it is still being created via geothermal activity. As a result, there are also places where you can see these forces at work such as crater lakes and fumaroles. Because of its rugged, steep terrain and the fierce resistance of its indigenous Carib population, Dominica was not as extensively developed by the European colonial powers as some neighboring islands. Consequently, much of the island remains in its natural state. Dominica is not densely populated. It has a population of approximately, 70,000 people. This includes some 3,000 Caribs, one of the largest communities of indigenous people in the Caribbean. The island is the largest of the Windward Islands, measuring some 290 square miles. Dominica became an independent nation in 1978. However, it remains a member of the British Commonwealth. As with several other Caribbean nations, the Eastern Caribbean Dollar is the official currency. However, the U.S. Dollar is widely accepted. The official language of Dominica is English. However, reflecting the French and African strains in the island's culture, many people speak Creole as well as English. The economy of the island is largely agricultural. However, as interest in eco-tourism has grown, tourism has assumed an increasingly important role. 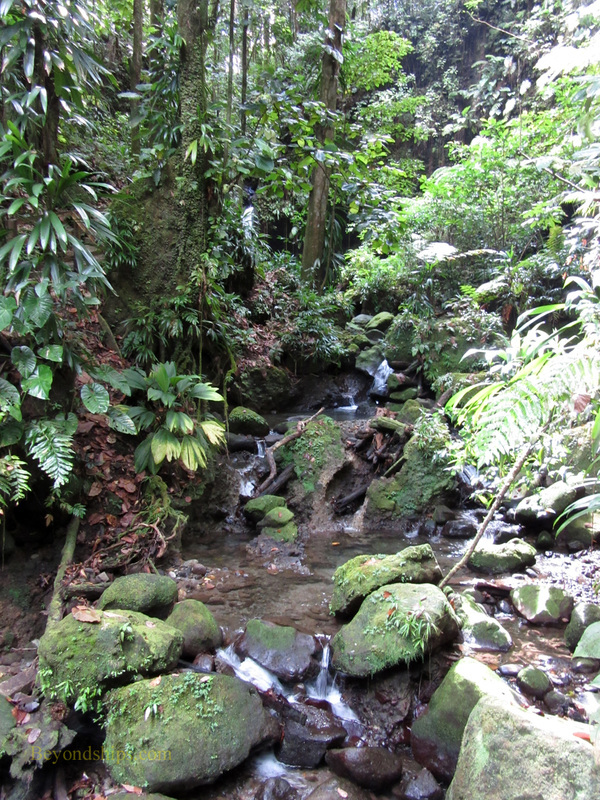 Along the same lines, Dominica's natural beauty, Dominica has also attracted filmmakers. Scenes from the first two “Pirates of the Caribbean” movies were shot on the island. 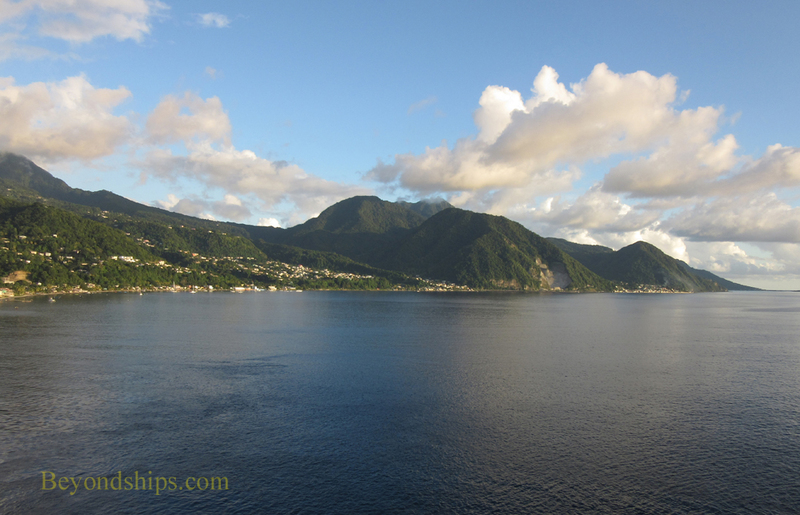 Although Dominica is a republic, it should not be confused with the Dominican Republic. That nation lies much further to the north, sharing the island of Hispaniola with Haiti. Some 14,000 people live in Roseau, the capital and largest town on the island. 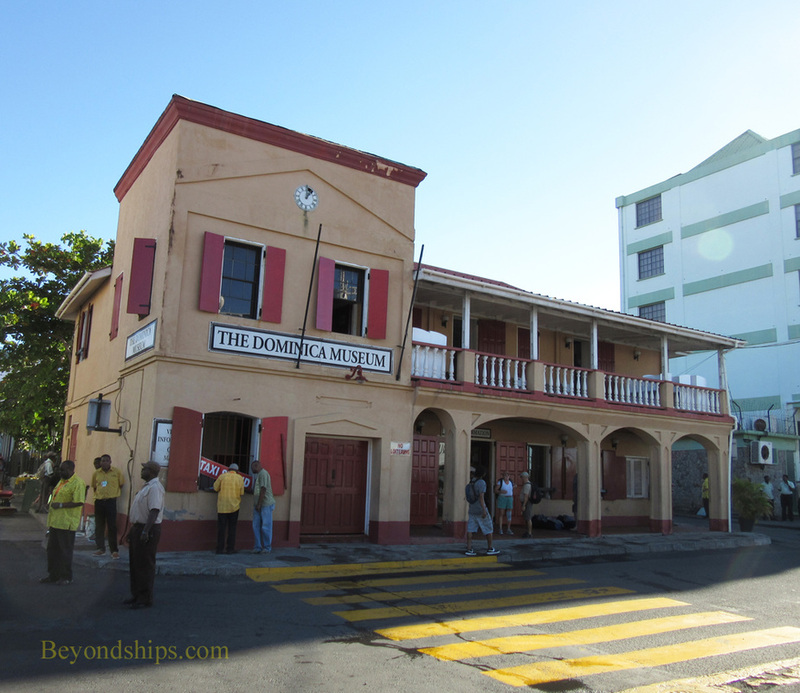 Roseau was devastated by a fire in 1809 and so the architecture mostly dates from the 19th century. The atmosphere is that of a developing rather than a developed town. 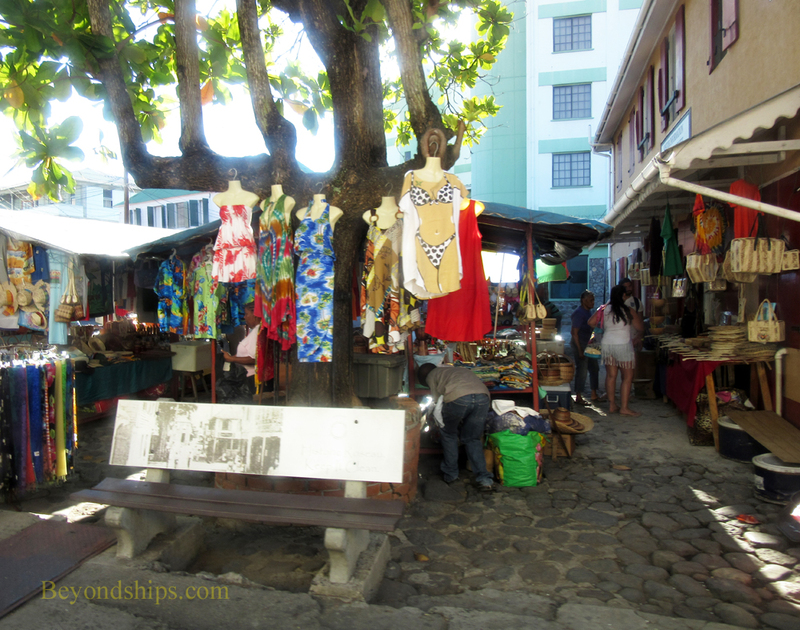 It has not been commercialized to the same extent as some other Caribbean ports. 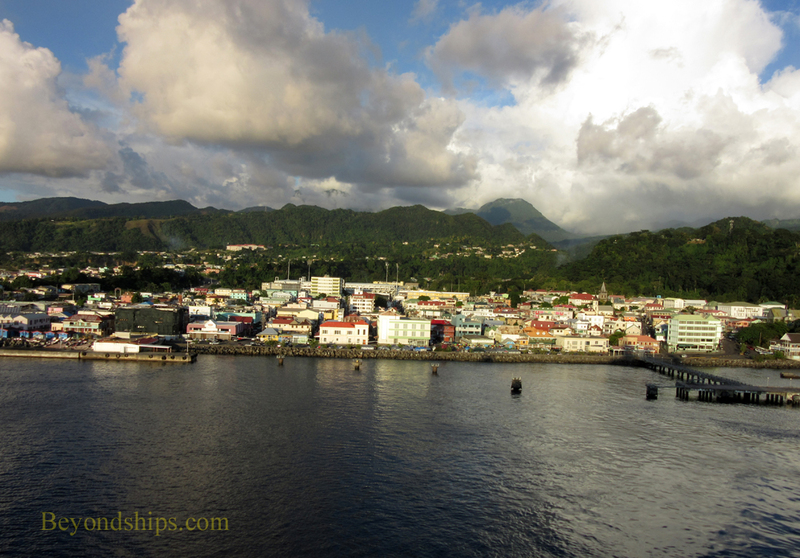 Above left: Just off the cruise pier in Roseau is the small Dominica Museum. Left: Nearby is the Old Market. Once a place where slaves were auctioned and criminals punished, this area in now an open-air market selling crafts and souvenirs. Below: Roseau from the sea. Because it is a relatively young island in geologic terms, there has not been time to develop world class beaches. As a result, the beaches on Dominica tend to be rocky or black sand. Mero Beach is popular with cruise visitors. While Dominica is not known for its beaches, it does have a reputation for snorkeling and scuba diving. Off Champagne Beach is a coral reef that is heated by geothermal activity. It gets its name because underwater vents create bubbles in the water. Dominica also has a reputation for hiking and scenery. There are three large national parks that encompass mountains, rain forests and volcanic features. (​See article on The Emerald Pool).